Muhammad Hanif is the author of “A Case of the Exploding Mangoes” (2008), his first novel (language not always palatable), a satire on the death of Ziaul Haq. “What is the last thing you say to your best general when ordering him into a do-or-die mission? A prayer maybe, if you are religiously inclined. A short lecture, underlining the importance of the mission, if you want to keep it businesslike. Or maybe you’ll wish him good luck accompanied by a clicking of the heels and a final salute. General Faiz Ali Chishti’s troops didn’t face any resistance that night; not a single shot was fired, and like all military coups in Pakistan, this was also dubbed a ‘bloodless coup’. There was a lot of bloodshed, though, in the following years—in military-managed dungeons, as pro-democracy students were butchered at Thori gate in interior Sindh, hundreds of shoppers were blown up in Karachi’s Bohri Bazar, in Rawalpindi people didn’t even have to leave their houses to get killed as the Army’s ammunition depot blew up raining missiles on a whole city, and finally at Basti Laal Kamal near Bahawalpur, where a plane exploded killing General Zia and most of the Pakistan Army’s high command. General Faiz Ali Chishti had nothing to do with this, of course. General Zia had managed to force hismurshid into retirement soon after coming to power. Chishti had started to take that term of endearment—murshid—a bit too seriously and dictators can’t stand anyone who thinks of himself as a kingmaker. Thirty-four years on, Pakistan is a society divided at many levels. There are those who insist on tracing our history to a certain September day in 2001, and there are those who insist that this country came into being the day the first Muslim landed on the Subcontinent. There are laptop jihadis, liberal fascist and fair-weather revolutionaries. There are Balochi freedom fighters up in the mountains and bullet-riddled bodies of young political activists in obscure Baloch towns. And, of course, there are the members of civil society with a permanent glow around their faces from all the candle-light vigils. All these factions may not agree on anything but there is consensus on one point: General Zia’s coup was a bad idea. 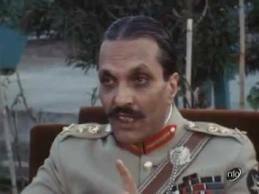 When was the last time anyone heard Nawaz Sharif or any of Zia’s numerous protégés thump their chest and say, yes, we need another Zia? When did you see a Pakistan military commander who stood on Zia’s grave and vowed to continue his mission? It might have taken Pakistanis 34 years to reach this consensus but we finally agree that General Zia’s domestic and foreign policies didn’t do us any good. It brought us automatic weapons, heroin and sectarianism; it also made fortunes for those who dealt in these commodities. And it turned Pakistan into an international jihadi tourist resort. And yet, somehow, without ever publicly owning up to it, the Army has continued Zia’s mission. Successive Army commanders, despite their access to vast libraries and regular strategic reviews, have never actually acknowledged that the multinational, multicultural jihadi project they started during the Zia era was a mistake. Late Dr Eqbal Ahmed, the Pakistani teacher and activist, once said that the Pakistan Army is brilliant at collecting information but its ability to analyse this information is non-existent. Looking back at the Zia years, the Pakistan Army seems like one of those mythical monsters that chops off its own head but then grows an identical one and continues on the only course it knows. In 1999, two days after the Pakistan Army embarked on its Kargil misadventure, Lieutenant General Mahmud Ahmed gave a ‘crisp and to the point’ briefing to a group of senior Army and Air Force officers. Air Commodore Kaiser Tufail, who attended the meeting, later wrote that they were told that it was nothing more than a defensive manoeuvre and the Indian Air Force will not get involved at any stage. “Come October, we shall walk into Siachen—to mop up the dead bodies of hundreds of Indians left hungry, out in the cold,” General Mahmud told the meeting. “Perhaps it was the incredulousness of the whole thing that led Air Commodore Abid Rao to famously quip, ‘After this operation, it’s going to be either a Court Martial or Martial Law!’ as we walked out of the briefing room,” Air Commodore Tufail recalled in an essay. If Rao Abid even contemplated a court martial, he probably lacked leadership qualities because there was only one way out of this mess—a humiliating military defeat, a world-class diplomatic disaster, followed by yet another martial law. The man who should have faced court martial for Kargil appointed himself Pakistan ’s President for the next decade. General Mahmud went on to command ISI, Rao Abid retired as air vice marshal, both went on to find lucrative work in the Army’s vast welfare empire, and Kargil was forgotten as if it was a game of dare between two juveniles who were now beyond caring about who had actually started the game. Nobody remembers that a lot of blood was shed on this pointless Kargil mission. The battles were fierce and some of the men and officers fought so valiantly that two were awarded Pakistan ’s highest military honour, Nishan-e-Haidar. There were hundreds of others whose names never made it to any awards list, whose families consoled themselves by saying that their loved ones had been martyred while defending our nation’s borders against our enemy. Nobody pointed out the basic fact that there was no enemy on those mountains before some delusional generals decided that they would like to mop up hundreds of Indian soldiers after starving them to death. 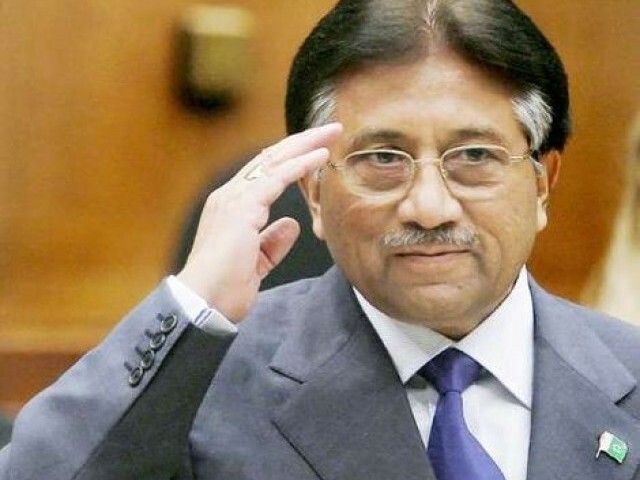 The architect of this mission, the daring General Pervez Musharraf, who didn’t bother to consult his colleagues before ordering his soldiers to their slaughter, doesn’t even have the wits to face a sessions court judge in Pakistan, let alone a court martial. The only people he feels comfortable with are his Facebook friends and that too from the safety of his London apartment. During the whole episode, the nation was told that it wasn’t the regular army that was fighting in Kargil; it was the mujahideen. But those who received their loved ones’ flag-draped coffins had sent their sons and brothers to serve in a professional army, not a freelance lashkar. The Pakistan Army’s biggest folly has been that under Zia it started outsourcing its basic job—soldiering—to these freelance militants. By blurring the line between a professional soldier—who, at least in theory, is always required to obey his officer, who in turn is governed by a set of laws—and a mujahid, who can pick and choose his cause and his commander depending on his mood, the Pakistan Army has caused immense confusion in its own ranks. Our soldiers are taught to shout Allah-o-Akbar when mocking an attack. In real life, they are ambushed by enemies who shout Allah-o-Akbar even louder. Can we blame them if they dither in their response? When the Pakistan Navy’s main aviation base in Karachi , PNS Mehran, was attacked, Navy Chief Admiral Nauman Bashir told us that the attackers were ‘very well trained’. We weren’t sure if he was giving us a lazy excuse or admiring the creation of his institution. When naval officials told journalists that the attackers were ‘as good as our own commandoes,’ were they giving themselves a backhanded compliment? In the wake of the attacks on PNS Mehran in Karachi, some TV channels have pulled out an old war anthem sung by late Madam Noor Jehan and have started to play it in the backdrop of images of young, hopeful faces of slain officers and men. Written by the legendary teacher and poet Sufi Tabassum, the anthem carries a clear and stark warning: Aiay puttar hatantay nahin wickday, na labhdi phir bazaar kuray (You can’t buy these brave sons from shops, don’t go looking for them in bazaars). While Sindhis and Balochis have mostly composed songs of rebellion, Punjabi popular culture has often lionised its karnails and jarnails and even an odd dholsipahi. The Pakistan Army, throughout its history, has refused to take advice from politicians as well as thinking professionals from its own ranks. It has never listened to historians and sometimes ignored even the esteemed religious scholars it frequently uses to whip up public sentiments for its dirty wars. But the biggest strategic mistake it has made is that it has not even taken advice from the late Madam Noor Jehan, one of the Army’s most ardent fans in Pakistan ’s history. You can probably ignore Dr Eqbal Ahmed’s advice and survive in this country but you ignore Madam at your own peril. Since the Pakistan Army’s high command is dominated by Punjabi-speaking generals, it’s difficult to fathom what it is about this advice that they didn’t understand. Any which way you translate it, the message is loud and clear. And lyrical: soldiers are not to be bought and sold like a commodity. “Na awaian takran maar kuray” (That search is futile, like butting your head against a brick wall), Noor Jehan goes on to rhapsodise. For decades, the Army has not only shopped for these private puttarsin the bazaars, it also set up factories to manufacture them. It raised whole armies of them. When you raise Lashkar-e-Taiba, Jaish Mohammed, Sipahe Sahaba, Sipahe Mohammed, Lashker Jhangvi, Al- Badar Mujahideen, others encouraged by the thriving market place will go ahead and start outfits like Anjuman Tahuffuze Khatame Nabuwat and Anjuman Tahuffuze Namoos-e-Aiyasha. It’s not just Kashmir and Afghanistan and Chechnya they will want to liberate, they will also go back in time and seek revenge for a perceived slur that may or may not have been cast by someone more than 1,300 years ago in a country far far away. As if the Army’s sprawling shopping mall of private puttars in Pakistan wasn’t enough, it actively encouraged import and export of these commodities, even branched out into providing rest and recreation facilities for the ones who wanted a break. The outsourcing of Pakistan ’s military strategy has reached a point where mujahids have their own mujahids to do their job, and inevitably at the end of the supply chain are those faceless and poor teenagers with explosives strapped to their torsos regularly marched out to blow up other poor kids. Two days before the Americans killed Osama bin Laden and took away his bullet-riddled body, General Kiyani addressed Army cadets at Kakul. After declaring a victory of sorts over the militants, he gave our nation a stark choice. And before the nation could even begin to weigh its pros and cons, he went ahead and decided for them: we shall never bargain our honour for prosperity. As things stand, most people in Pakistan have neither honour nor prosperity and will easily settle for their little world not blowing up every day. The question people really want to ask General Kiyani is that if he and his Army officer colleagues can have both honour and prosperity, why can’t we the people have a tiny bit of both? The Army and its advocates in the media often worry about Pakistan ’s image, as if we are not suffering from a long-term serious illness but a seasonal bout of acne that just needs better skin care. The Pakistan Army, over the years, has cultivated this image of 180 million people with nuclear devices strapped to their collective body threatening to take the world down with it. We may not be able to take the world down with us; the world might defang us or try to calm us down by appealing to our imagined Sufi side. But the fact remains that Pakistan as a nation is paying the price for our generals’ insistence on acting, in Asma Jahangir’s frank but accurate description, like duffers. And demanding medals and golf resorts for being such duffers consistently for such a long time. This entry was posted in Politics and tagged Martial Law, Muhammad Zia-ul-Haq, Operation Fair Play, Pakistan Army on June 30, 2013 by akhterhayatmalik. The martyrs were from Karachi and interior Sindh, from Punjab, Balochistan, Kashmir and Khyber Pakhtunkhwa. They were in Siachen not to secure a plot or a seat in parliament. They came to serve the motherland. 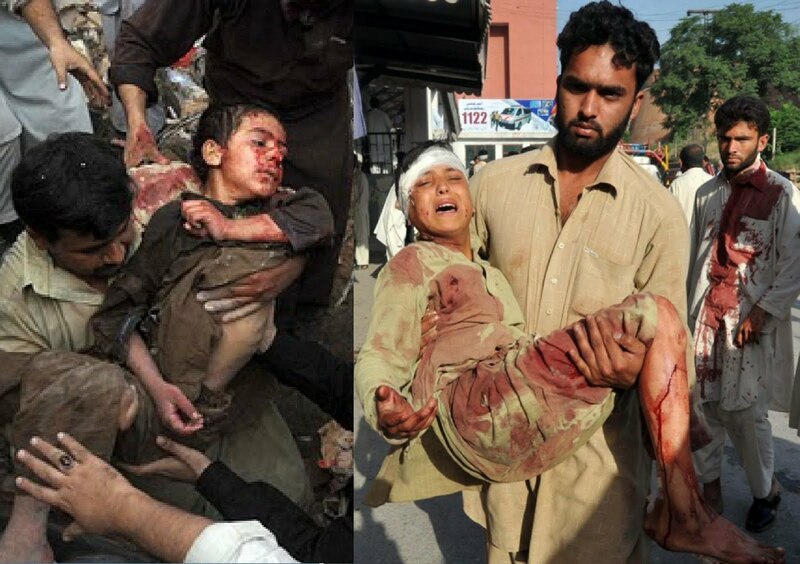 God and all Pakistanis should look after their children. 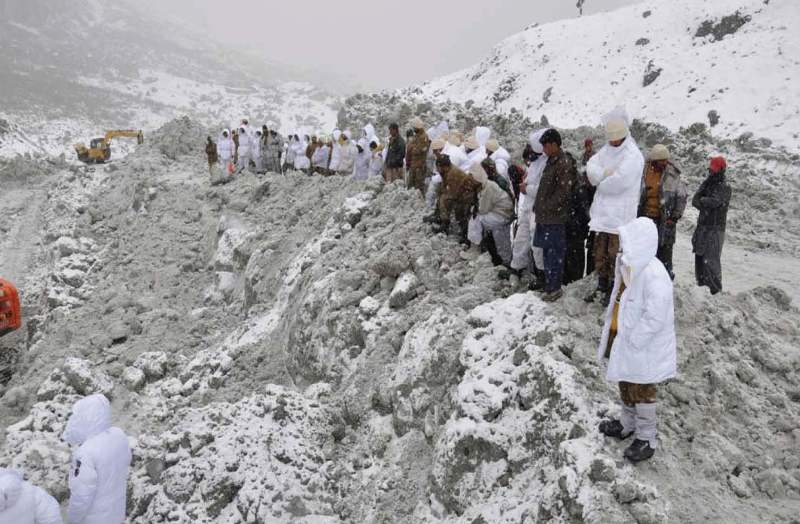 “ISLAMABAD, Pakistan—One hundred and thirty-nine brave Pakistanis, 124 of whom were members of the Pakistani army, lie buried under 80 feet of snow on the Siachen Glacier after an avalanche crashed down on a battalion headquarters at Gyari near Skardu on Saturday. The massive avalanche which hit before dawn while the victims were sleeping was 1,000 meters long and 25 meters wide. On Sunday military spokesman Maj. Gen. Athar Abbas said it was not clear whether any of the victims were still alive. As these lines are written, hopes are rapidly fading, as not a single survivor or body has been dug out from the snow. Funeral prayers have already been offered in Pakistan for the victims of the tragedy. Pakistanis should not think of them as dead but as living, because they laid down their lives for the motherland. God has instructed us to remember such people as martyrs, and martyrs never die. The martyrs of Siachen are going to be in good company in heaven, with all the heroes who laid down their lives in defense of our frontiers. Gen Kayani, who visited the site on Sunday to personally supervise the rescue effort, gave the assurance that the army and the air force had mobilized all available resources for the operation. In his instructions to local commanders, he asked them to “utilize all available resources” and “leave no stone unturned” in their efforts to find those buried under the snow. Indeed the Pakistani army did not leave any stone unturned. The valiant members of the search and rescue teams, who joined the effort defying tremendous difficulties including the freezing cold and the fierce wind, used sniffer dogs and specialized heavy machinery for digging. More than 200 army personnel pressed ahead although extreme weather conditions had worsened by fresh heavy snowfall. Even daytime temperatures plunged to minus 15 degrees Celsius. The Siachen Glacier in the Karakoram Mountain Range is the world’s highest battleground at more than 20,000 feet, where Pakistani and Indian soldiers are facing each other since 1984. The terrain is extremely inhospitable and the temperatures can plunge as low as minus 150 degrees C. More soldiers die from cold and bad weather, blizzards and the icy winds than in fighting. There has not been much fighting since Pakistan and India declared a ceasefire along the Line of Control in Jammu and Kashmir, where the Siachen Glacier is. There is no ethnic distinction between these martyrs. Among them are Punjabis, Pathans, Baloch, Sindhis and Urdu-speaking Pakistanis. They laid down their lives to enable us to return to our children and our families in the safety of our homes all over Pakistan. These 139 martyrs did everything to make sure that Pakistan’s borders are secure and the citizens of the country continue to live in honor, dignity and freedom. None of the individual among the martyrs lost his life arrived on the Siachen Glacier to secure a piece of agricultural land or a residential, or a seat in parliament in the future. But who will look after the martyrs’ family and children? God and Pakistanis from all walks of life who have a desire to serve the motherland. This op-ed appeared in The News International, Pakistan’s largest English-language newspaper. This entry was posted in Security and tagged Martyrs of Pakistan, Pakistan Army, Siachen Glacier on June 30, 2013 by akhterhayatmalik. What kind of holy war is this that drives people to turn on fellow believers and what divine goals do these holy warriors hope to achieve? “Some of my Pakistani friends had been offended when some time ago in an emotional piece I had the temerity to suggest that some of the greatest crimes against Islam and its followers have been committed in the land that was earned in the name of the faith. It was a situation of, in Parveen Shakir’s words, “Baat toe sach hai magar baat hai ruswai ki” (although this is the truth, it’s not good for our reputation). Friday’s attack on a Shiite mosque in Peshawar, killing at least 15 people, is the third major suicide bombing in the country in the past six days. With these terror strikes in Pakistan last week, more senseless, totally absurd atrocities have been added to the long roll of crimes perpetrated in the name of Islam against the Muslims by fellow Muslims. On June 18, a suicide bomber detonated his explosives at a funeral in Mardan in northwestern Pakistan. A member of the Khyber-Pakhtunkhwa provincial assembly was among 35 people killed in the deadly blast. On June 16, at least 25 people, including 14 female university students, four nurses, a medical officer and the deputy commissioner of Quetta, were killed when a bomb tore through a bus, followed by a suicide attack and a bloody gun battle in the Bolan Medical College hospital, where the injured students were taken for treatment. The authorities reveal that the first attack targeting the students of the region’s only all-women university was carried out by a female suicide bomber and has proudly been claimed by the banned Lashkar-i-Jhangvi,. The Quetta terror strike was apparently aimed at strengthening the hands of Pakistan’s new leader, Prime Minister Nawaz Sharif, who has gone against the established traditions to confront the United States and his own army, warning in no uncertain terms that the dance of death in Pakistan’s skies must end. With all those Lashkars, Jaishes and defenders of faith though, Pakistan hardly needs the services of Uncle Sam or assorted Indian and Zionist conspirators and saboteurs. Of course, this isn’t the first such attack and, rest assured, it will not be the last one. This conflict has already claimed more than 48,000 lives in the past few years, suggests a report by South Asia Terrorism Portal and Institute for Conflict Management. In the past few years Pakistan has witnessed so much of mindless violence and splurging of innocent blood in its streets, mosques, schools and hospitals that the issue now evokes little more than helpless resignation and revulsion. After a point, death becomes a dull, daily routine and lost lives mere statistics. But indifference and aversion cannot wish away this menace, this deep sickness that has crept into Muslim lands in the past few years. Convenient and convoluted interpretations and spin cannot treat this deadly disease. What sort of people send a young woman to blow herself up with other totally innocent, unsuspecting fellow women on the way to college with stars and dreams in their eyes? What kind of religion do they believe in and where and how they came up with this morbid, sick interpretation of the faith? No religion sanctions killing of innocent people, especially women and children, least of all Islam. The faith I know and believe in along with more than 1.6 billion people sternly warns its followers against targeting of innocents including animals and plants even during a conflict. What kind of holy war is this that drives people to turn on fellow believers and what divine goals do these holy warriors hope to achieve? Do they really think God will reward them for snuffing out the beautiful lives that He created? Would He shower His blessings on them for spilling the blood and guts of His children in the prime of life? Can there be a greater atrocity and outrage against the faith that so many believers led by the Prophet himself, peace be upon him, sacrificed so much to spread and strengthen? Islam was sent down as a blessing for the whole of humanity, demolishing all false distinctions of birth, color, gender and social status. Who would have thought that Muslims would be killed for believing in it by fellow Muslims? According to a much quoted Hadith, the Prophet is said to have warned of a period when his followers notwithstanding their extraordinary numbers would find themselves under siege everywhere. Who would have known that the Muslims would end up their own worst enemies and of their own kind? And this isn’t a problem that is confined to Pakistan. From the killing fields of Afghanistan, Iraq and Yemen to the battlefronts of Syria, Lebanon and Turkey, it is the same sickening story of the faithful being slaughtered at the hands of fellow travelers. Groups like Al-Qaeda and Tahreek-e-Taleban that seemingly came into being to avenge the Western crimes and injustices against the faithful have killed more of their own people — an infinite number more — than their intended enemy. Indeed, more believers have died at the hands of their brethren than all the recent Western wars put together may have. Remember the decade-long disastrous war between Iran and Iraq at the turn of the last century? Millions perished in the pointless clash, not to mention the mutual destruction of the two oil-producing nations under the benign gaze of the West and the rest. In Syria, what began as a people’s uprising against the long night of the Bathist tyranny has turned into a bitter, endless civil war claiming nearly 100,000 lives. Clearly, we have a serious problem in our midst and the sooner we confronted it the better for everyone. We can go on deluding ourselves that all is well and that this is all part of a grand conspiracy to malign Islam and Muslims and do nothing. We can stand and stare while the world around us unravels and more and more impressionable minds are claimed by violent extremism with fingers inevitably being pointed at our faith. Alternately, we could start fighting back confronting the dark forces in our midst. The enemy within now threatens our very identity and the sweet name of the faith that continues to conquer hearts and minds against all odds. This is the only way forward if we believe in Islam’s humane teachings and care for the future of our succeeding generations. This is not a tiny fringe that we confront anymore. What we are staring at is an extraordinary ideological and existential challenge, the kind Muslim societies have never encountered in their eventful history. This calls for an equally extraordinary response from governments, Muslim scholars, intellectuals and everyone who is concerned over this mayhem and murder in our name. Mere condemnations and denouncements from the pulpit will not do. It is time for more effective measures to fight the scourge and present the real face and spirit of Islam — not just before the world but for the sake of our own. This is the real jihad right now”. This entry was posted in Security and tagged Muslim, Pakistan, Terrorism on June 30, 2013 by akhterhayatmalik. This entry was posted in Politics and tagged Imran Khan, Pakistan Elections, PTI, Qadri, Sweden on June 29, 2013 by akhterhayatmalik. 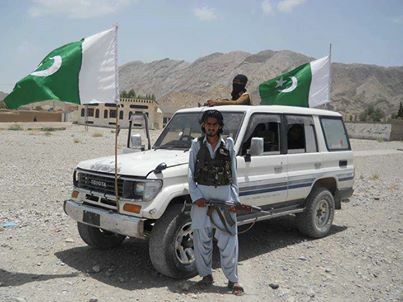 Mustung, Baluchistan, June 24: Locals witnessed heavy clashes between the two rival groups where the Baloch Musalah Defah Tanzeem (BMDT) a pro Pakistan militia led by Haibatan Mengal cleaned the district Mustung from Balochistan Liberation Army (BLA) and hoisted the national flag right in front of the ‘Farrari camp’ used by BLA militants,on Monday, signalling the wipe-out of militants from their stronghold. A statement issued by Haibatan Mengal the commander of B.M.D.T group said that the district Mustung was cleaned from anti-Pakistan elements after a successful ambush by the BMDT. “We announce the patriotic people of Baluchistan that the task of cleansing Mustung district from terrorists has been successfully completed which was once occupied by Foreign funded criminal group. We Muslims shall never allow anyone to work against the unity of Pakistan in the name of freedom, we warn terrorists to immediately stop their activities as they are not supported by patriotic Baloch people,” said the statement. Some 43 terrorists from BLA clan have been reportedly killed in the clash including the 2 local commanders of BLA Babo Baloch and Qadir Baloch. This entry was posted in Security and tagged Baloch people, BLA, Patriot Baloch, Terrorists on June 28, 2013 by akhterhayatmalik. The factor of ‘coming out of war of America’ is vital and very basic condition, but it is not the only factor contributing to terrorism in our country. There are factors like religious extremism, foreign funding to our banned outfits, harboring of out terrorists by international players, politicization of police/investigative institutions and a very poor/outdated/time consuming judicial system which are seriously hampering our efforts to eliminate terrorism. PTI will have to address all these factors in order to achieve success in this field. Should we abandon the ‘rhetoric’ of coming out of war of America? Partially yes and partially no. It may be noted that Obama had declared last year on the eve of his election as President that ‘the decade of war on terror has come to an end’. Pakistan should have been shrewd enough to declare an end to this war also, but we didn’t. Now the situation is; America is preparing to pull out from Afghanistan and is all set to negotiate with Taliban, who were so far being considered as arch enemies. Pakistan has not yet been able to decide whether to have dialogue or not and if yes, then with whom? Is TTP ready for dialogue? Is TTP the only outfit to have dialogue with, and what about other organizations like Lashkar e Jhangvi, who are equally responsible to play havoc with our lives? How and where the dialogue will take place? What will be agenda? And most important factor- what will be course of action left for Pakistan in case the dialogue fails? The question of stopping the NATO supply is also meaningless at this stage. Another aspect which most of the analysts tend to overlook is the possibility of continuation of drone attacks even beyond 2014! The US will be leaving a skeleton force in Afghanistan on the plea of training etc and the same is true for the presence / operation of CIA agent like Black-water, in Pakistan. So if the Pakistan govt doesn’t formally announce a farewell to ‘American war’ within next one year, I am afraid that drone attacks will continue as usual even after the exit of US / NATO forces. The composition of future govt in Afghanistan is very important for us because all our efforts to control terrorism will hinge on that govt. The new, future Afghan govt must cooperate with us in terms of cutting off all kind of support to terrorist groups, failing which we will not see any peace and prosperity in Pakistan. We should also reciprocate in similar manner by disarming all sorts of militant groups, whatsoever their missions and names may be, as violence always begets violence and we have already paid heavily for this mistake. The only institutions to carry arms should be the armed forces and law enforcing agencies. Imran Khan may be advised / briefed on above lines who should demand, as an opposition leader, similar actions from PML-N govt. This entry was posted in Security and tagged Afghanistan, Imran Khan, Lashkar e Jhangvi, Pakistan Muslim League (N), Taliban on June 27, 2013 by akhterhayatmalik. IS PERVEZ MUSHARAF THE ONLY ONE WHO ABROGATED THE CONSTITUTION? Prime Minister Nawaz Shareef has announced in National Assembly on 24 June 2013 that Federal Government has decided to prosecute Gen Pervez Musharaf under Article 6 of the Constitution of Islamic Republic of Pakistan. Gen Pervez Musharaf, as the Army Chief, had abrogated the constitution twice; first in 1999 by toppling an elected government of NS and second in 2007 by imposing emergency plus and sending the judges of the superior courts into illegal custody. Obviously he has committed a grave offense that merits proper punishment under the law of land. He had voluntarily surrendered himself before the law in March this year to face all the pending cases against him. But the question arises; is Musharaf the only one who has abrogated the constitution? Is no one else in Pakistan guilty of the same heinous crime? Let us have a quick analysis of the situation. I am neither a supporter of Pervez Musharaf nor I condone this crime of high treason. I believe that Pervez Musharaf is responsible for majority of the ills and problems through which this country is passing today. But what about a large number of other people who are guilty of the same crime of flouting the constitution and still are enjoying immunity on one pretext or the other. Let us see how the constitution of Pakistan has been violated and desecrated time and again. (1) Slavery is non-existent and forbidden and no law shall permit or facilitate its introduction into Pakistan in any form. (2) All forms of forced labor and traffic in human beings are prohibited. (3) No child below the age of fourteen years shall be engaged in any factory or mine or any other hazardous employment. ‘All citizens are equal before law and are entitled to equal protection of law’. ‘The State shall encourage local Government institutions composed of elected representatives of the areas concerned and in such institutions special representation will be given to peasants, workers and women’. (f) eliminate riba as early as possible’. • Taken steps to stop concentration of wealth in few hands. • Provided facilities for work and adequate livelihood to citizens. • Provided basic necessities of life like food, shelter, education, medical etc to its those citizens who are unable to earn. • Ensured an equal and just treatment to all its citizens under the law. • Eliminated slavery and forced labor. Even today there are private jails of feudal lords and sardars in Sindh and Baluchistan. • Encouraged local governments. The military dictators had encouraged it but the democratic governments have always avoided this constitutional responsibility. All the successive governments and their functionaries since inception of constitution in 1973 have continuously been abrogating the constitution with impunity. They have played havoc with the life, property, honor, dignity and respect of the citizens. They have kept the nation illiterate and prone to diseases. Instead of eliminating disparity of incomes they have created islands of prosperity through corrupt practices and nepotism. With ‘Thana’ and ‘Patwari’ culture and a corrupt electorate system, they have plunged the nation in worst kind of slavery, whereby the MNAs / MPs are no less than a demi gods for their people. Aren’t these rulers and political parties guilty of abrogating the constitution? ‘It shall be the duty of the Election Commission constituted in relation to an election to organize and conduct the election and to make such arrangements as are necessary to ensure that the election is conducted honestly, justly, fairly and in accordance with law, and that corrupt practices are guarded against’. Think over it. Have the elections been conducted in accordance with the spirit of constitution? Haven’t the corrupt, the tax evaders, the loan defaulters, the liars, the holders of fake degrees been given safe passage to contest elections and to make their way to assemblies? Haven’t the fake votes, the votes surplus to the registered vote been cast, the results on polling stations been withheld / delayed unjustly, the presiding officers been intimidated on gun point. Haven’t the polling stations in Karachi and elsewhere been made as ‘No Go Areas’ even for the media? All this happened right under the nose of the caretaker governments, the Election Commission, the Judiciary and the law enforcing agencies. So, aren’t these institutions guilty of flouting the Constitution? Coming back to the crime of Pervez Musharaf, let us have a comparison. Pervez Musharaf abrogated the constitution to the extent of suspending some of its provisions related to the functionality of the parliament and the judiciary, that too for a limited period of time. These provisions had little to do with the daily routine of a citizen. A citizen is always obsessed with his safety and livelihood and is hardly concerned with suspension or functionality of few provisions of the constitution. On the other hand the successive governments in Pakistan flouted the constitution and made the life of a citizen miserable and unbearable. A common poor citizen has become so disgusted that he chooses to commit suicide and sell his siblings in the market, just to make his both ends meet. Ask any person on the street and he will tell you who all have committed more serious crimes in relation to the Constitution. I am neither a fan of Pervez Musharaf nor a supporter of his policies. But all those who have violated and abrogated the Constitution should be brought to book and punished accordingly. Singling out one person from a crowd of criminals seems to be against the norms of dispensing justice. This entry was posted in Politics and tagged Constitution of Pakistan, High Treason, Nawaz Sharif, Pervez Musharraf on June 25, 2013 by akhterhayatmalik.